Our proven clipping and shearing machines are the “Best in Class” for fleece, fiber and hair removal. Use our high-quality blades, combs and cutters, and professional resharpening service to experience the best for less! Veterinary-formulated milk replacer provides total nutritional requirements for baby lambs and goat kids. Acidified, all-milk protein includes skim milk to maximize survival and growth rates. Easy to mix. Electric Netting: Portable, effective and easy to use! Premier’s unique electric netting can help you protect or contain livestock, poultry, beehives, dogs, windbreaks and gardens. It’s quick to install, durable, and adaptable to dips and curves in difficult terrain. Solar IntelliShock®: All-in-one solar fence energizer. 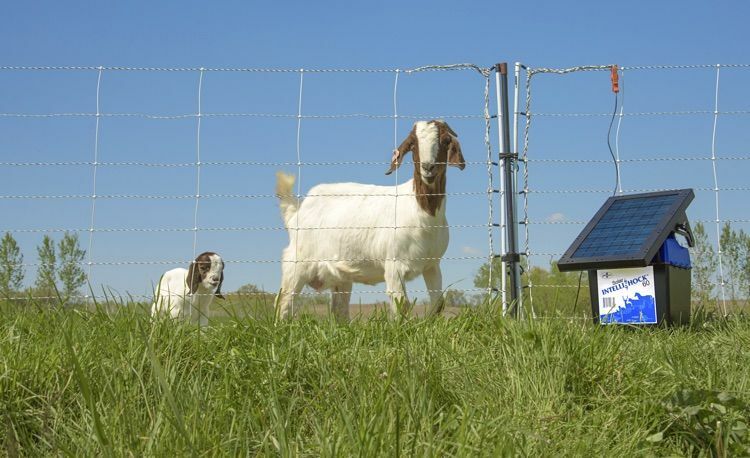 Solar IntelliShock® electric fence energizers are able to reduce energy demand when the fence’s voltage is high. As a result, the battery is more likely to remain charged through the low sunlight days of autumn and winter. Heating Plates for Chicks: Simulates a hen keeping chicks warm. Chicks stay warm by near contact with the underside of the plate. The bottom-side surface of the heating plate is warm, but not hot. It’s less of a fire risk than a heat lamp. When you need sharp equipment, you needed it yesterday! Premier provides rapid turnaround and a precision finish on your blades, combs and cutters.